We are HUGE book fanatics at our home. With eight kids, we read a lot- and collect a lot of books. We were really excited that I participated in an Influencer Activation on behalf of Influence Central for Hands-on-Prints books. I received books to facilitate this honest review. The author of the Hands-on-Prints books, Christina Cheung, established a Montessori school that celebrates differences in learning preferences, personalities, and cultural backgrounds. 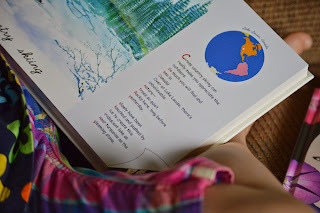 She was compelled to write a collection of books that inspire simple and complex learning about the world while incorporating tactile elements and vibrant visual experiences for children. 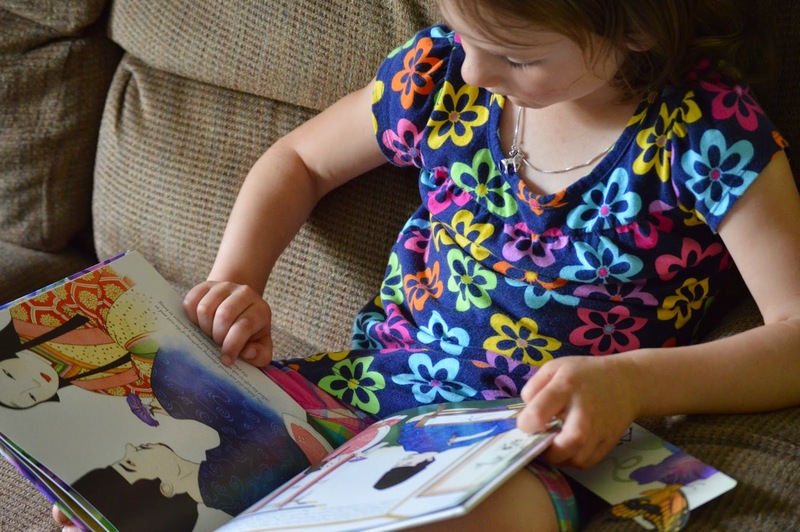 These books foster children's knowledge and sense of discover by helping them to engage in a way that encourages mindfulness and inspiring them to explore and learn. This hard cover book has thick sturdy pages that will hold up over time. 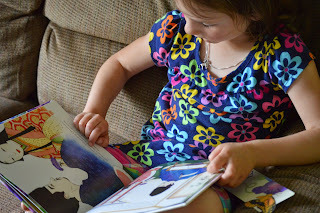 These are great for preschoolers, since they can turn the pages themselves without the fear of tearing them. There is a nice note to parents and educators that helps the adults understand how to use the book and what it can do. This book focuses on the alphabet...the written letters are in the cursive alphabet. I know many parent's are thinking- well my child needs to know the printed alphabet first, why should I get a book of cursive alphabet letters? Well, each letter is printed in a texture similar to very fine sandpaper. The note to parents and educators states, "Careful penmanship and cursive writing not only refine fine motor skills from shoulder to fingertips, they also help to sharpen thought formation and brain development." Tracing the letters in cursive help to coordinate the two hemispheres of the brain. 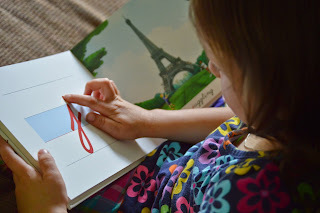 This helps the child appreciate and observe the fine details in the book. 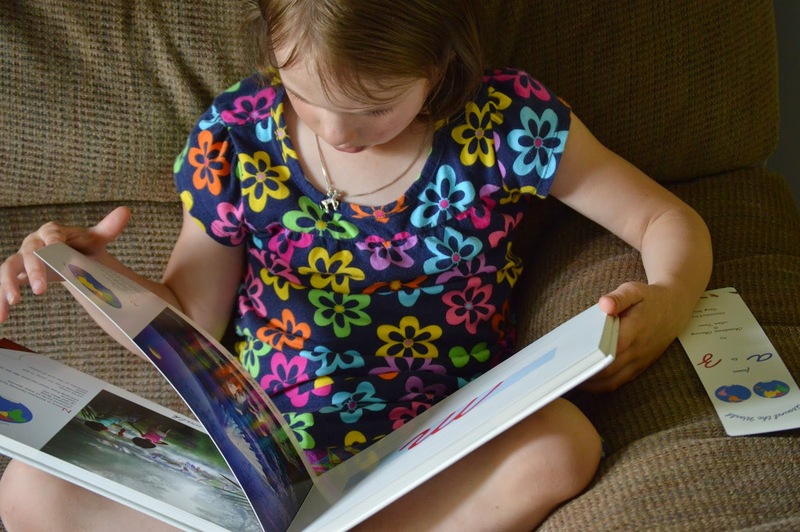 The book allows many senses to be used while exploring it. Touch while tracing the letters, sight when looking at the beautifully illustrated pictures, and hearing when listening to an adult read the acrostic poems that accompany each letter. Using all of these senses together makes a connection in the mind and allows the child to learn without realizing anything is being taught. Each letter is assigned a corresponding physical activity (cross-country skiing, dancing, equestrian sport), and each page includes a map that pinpoints where the sport came from. On the bottom right corner of the poem pages there is also a little image of the page being turned and the image of a specific type of footwear. This allows the child to guess what sport will be coming up next. Our four year old daughter really enjoys this book, she loves tracing the letters, seeing which feet will come next, and listen to me read the poems. The book has furthered her curiosity for some of the activities in the book (Quoits and ostrich-chasing) which has lead to more learning experiences. Overall, this original book is one that is a fantastic addition to your library and one that is non-traditional enough to hold a child's attention while teaching the alphabet. This book is in the first set of the Botanical Tales Series: The Maligned Creeper. Set in 9th century Japan, the book tells a story of a family who moves to a new home and how the father decides to grow a beautiful garden full of rare and exotic plants so that he may paint their beauty. One day, his daughter brings him a flower and he is perplexed at how it has come to be as he didn't plant it. It is the Morning Glory, and the story continues to tell of how they try to rid it from the garden but nature prevails and the beautiful flower lives on, even when the story takes a sad turn. This book is the 2013 winner of the Silver Moonbeam Children's Book Award for Picture Book, in the "All Ages" category. The beauty of the illustrations really help propel the reader to turn each page and discover the next delightful image. In the back of the book there is a page that talks about the morning glory plant's cordate leaves. There are pictures of other heart-shaped leaved plants with both the common and latin names. On the page next to this there are some facts about the botanical Tales Series. This book is worth owning for the illustrations alone. Hsiao- Yen Chi is an amazing artist.